Have you ever stopped to think about what scares you? Snakes… Dogs… Bugs that fly and have stingers… That’s a big one for me. I think about fear a lot. Or you could say fear drives me a lot. The constant worrying, the anxiety, the fear of the unknown. That’s the really big one. When you don’t know what’s coming, it’s easy to imagine all kinds of scenarios. The majority of them will never happen but that fear of the worst just needs a little imagination to get a hold of you. Recently, I’ve tried to start facing those fears, specifically the fear of what others think of me. This has involved a lot of “why?” questions. Why do you worry even when their opinions don’t matter to you? 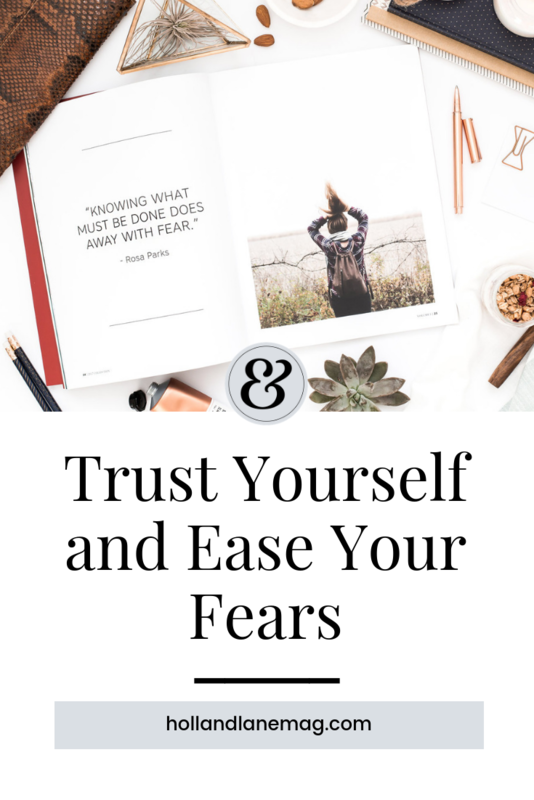 Why are you letting this fear hold you back from the passions you want to pursue in life? Why can’t let you just let it go? Why do you fear when the Lord has your back? I’m scared of being a failure. I’m scared of people considering me a hypocrite or correctly calling me a liar because I’m nervous and don’t answer 100% truthfully. I’m scared of people angrily yelling at me. I mean seriously. Do you want someone in your personal bubble with the expression of “I’m about to hit you in the face” rage? I’m scared of the unknown. It really does all boil down to that one. No one can tell the future and you’re bound to fail at some point in your life. There’s honestly no telling what that even looks like. When you’re a kid, you can pretty much count on your parents to pick up the pieces, assuming you didn’t have to grow up fast. But when you’re an adult? Well, it’s all on you. And sometimes you don’t know if you’ll have the strength to get back up from that. One of the big unknowns for me has been to start a blog or business. It’s been on my heart for a while but unfortunately that fear of being a failure and that fear of what other people will think holds me back… and it shouldn’t. People will always have something to say and they’ll always create their own preconceived notions and biases. We all do it. What others have to say shouldn’t change what’s on my heart. If anything, the comments that matter will give me more insight into how I can be better and the comments that don’t should make me stronger as I move past them. What I do believe is that we have the ability to draw on the strength the Lord has already given to us to move forward despite that fear. I don’t think I draw on it nearly enough. That’s why 2018 has become the year that I push myself. I started seeing a therapist to help me in analyzing my emotions and my actions. I purposefully went to a conference I wanted to attend and invited people to come with me. I networked with people that inspired me and asked if I could get involved. I opened up to my husband who never gave me any reason to believe that he wouldn’t just listen to me and hold my hand instead of running. We’re all going to fall at some point and we won’t be able to look up and find mom and dad ready and waiting to hop in. What we can do, though, is realize that we’ll never be able to control the unknown. Instead, we can prepare for it, enjoy the present, and stand firm in the decisions we make. What we can do is draw on the strength the Lord has already given us to learn from the rock that made us stumble and then move forward. I pray that you have the courage to keep moving forward in your own journey. Join me. We’ll do it together. Editor's Note: As part of the illuminate monthly writing membership, our writers have the opportunity to get their writing featured on our blog. Click here to find out more and sign up. We hope you enjoyed this selected piece. Congratulations, Arielle! Arielle Caraway is an accountant by day and a dreamer by night. She recently received an editorial internship and plans to launch a lifestyle blog in 2018. She is a firm believer in seeing the beauty of the world in everything you do and hopes to encourage readers to live a life of intention by offering insight into her own journey. In her free time, you can find her putting a dent in her running list of must-reads, catching the latest flick, photographing beautiful things, or just dancing in her living room.